The fascinating story of Spain’s first female professor. 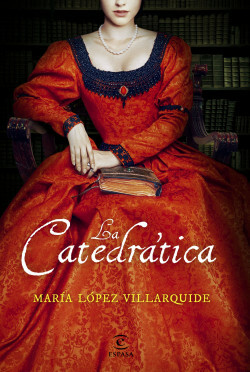 This is a moving and little-known chronicle of Luisa de Medrano, the first Spanish woman to rise to professor, in the sixteenth century, at the University of Salamanca, the most prestigious center of knowledge in the Spanish-speaking world. Everything in Luisa’s life was extraordinary: daughter of aristocrats, she soon caught the attention of the Catholic Monarch Isabel, who called her to her side at the court to educate her daughters Juana and Catalina, and who was so impressed with her talents, she supported her admission to the University of Salamanca. In the present times, when women’s empowerment is on everybody’s lips, the example of the tenacious Luisa Medrano deserves the recognition it has been denied for centuries.